ARE FABREGAS’ DEFENSIVE LAPSES HURTING CHELSEA? At the curtain raiser at Wembley Stadium, Chelsea showed their defensive frailties ahead of their Premier League title defence. 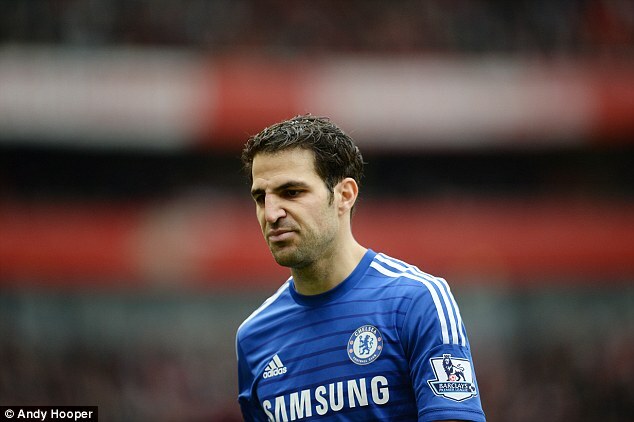 Several factors hindered the team from shining brightly and one of them was Fabregas’ defensive liabilities. Fabregas was given little room to roam in the middle by his former team. He was peripheral in the duel though he showed few flashes of brilliance, as expected. He gave N’Golo Kante more defensive responsibilities as Tiemoue Bamayoko was not available. Antonio Rudiger came too late but showed he could be a decent option for the Blues this term. 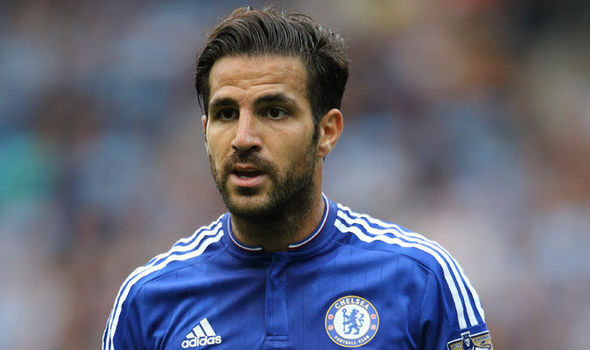 Read more about ARE FABREGAS’ DEFENSIVE LAPSES HURTING CHELSEA? Spain international Cesc Fabregas has revealed that he harboured an intense hatred for John Terry, while he was still in the ranks of Arsenal. The 30-year-old began his professional career with Arsenal in 2003 following his switch from the famous La Masia academy. Fabregas made himself a fan favourite during his time at north London, and he engaged into several intense battles with the Blues before moving on to boyhood club Barcelona in 2011. The Spaniard eventually returned to the Premier League with Chelsea three years later, and he has since established himself a key player in the first-team squad. Barcelona are reportedly hoping that Hector Bellerin submits a transfer request in order to pursue through a move to the Camp Nou in the summer. Former Arsenal midfielder Cesc Fabregas had to use a similar tactic in order to pursue a move back to Catalonia. Fabregas, currently at Chelsea, had been keen on a move to Barcelona in the summer of 2010, but he was still reluctant to place a transfer request under the orders of manager Arsene Wenger. Fabregas eventually bowed to the Gunners demands, and he sacrificed a loyalty payment of around £4m to make his return to Barcelona in 2011. 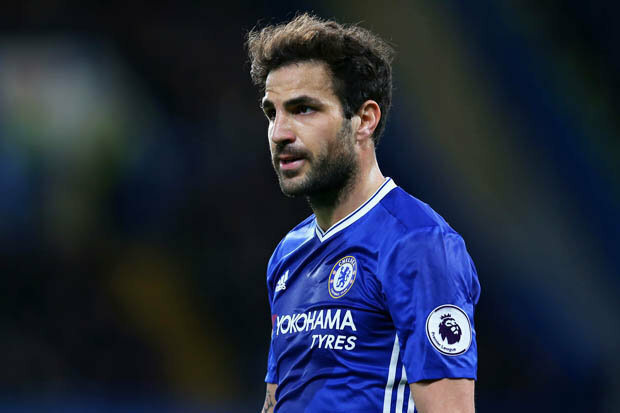 Spain international Cesc Fabregas will snub the chance of linking up with league rivals Manchester United unless Chelsea decide to place him on the transfer market. The World Cup winner was largely used from the bench by Antonio Conte in order to add more creativity in the dying stages of the campaign. Despite this, the 30-year-old is willing to stay put with the Blues for another season with a view to fighting for his position under the Italian coach. Chelsea playmaker Cesc Fabregas said he smiled when he saw that their main rivals Tottenham Hotspur lost to West Ham United. Spurs’ loss simply meant that the wait for the Premier League was cut short for the league leaders. After Chelsea’s 3-0 triumph over Middlesbrough, the Blues are now clear to lift the title on Friday if they defeat West Bromwich Albion. Fabregas said the team was pleased with the help West Ham provided but that they quickly returned their focus on the Boro game. 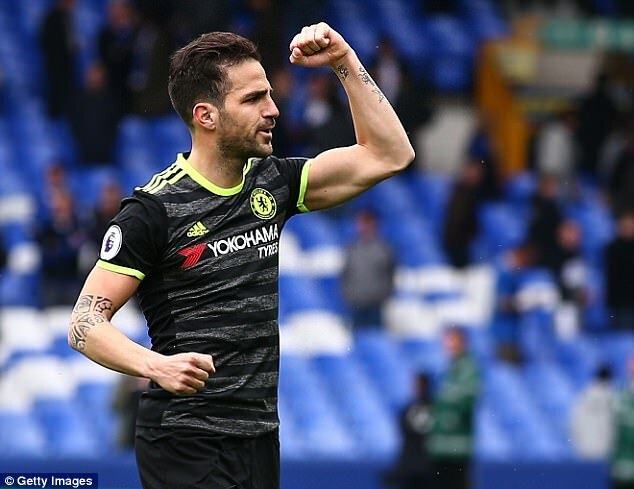 Chelsea may have won a lot of awards this season, but former assistant manager Ray Wilkins says that the club needs to keep midfielder Cesc Fabregas in order to repeat the success of this campaign. The blues are on the verge of winning the Premier league and FA Cup. Even though Fabregas has not played much football during the year, Antonio Conte has used him in a decisive manner. As an impact substitute, the midfielder has played a major role, but there have been growing noises that other clubs are interested in signing him.There would certainly be interest in Fabregas considering that he is a former World Cup, Champions League, European Championship, Premier League, La Liga, and Copa del Rey winner. Cesc Fabregas says that Tottenham being the title challengers for Chelsea in the Premier League does not change things when the two teams face each other in the FA Cup semi-final this weekend. The match is a repeat of the semi-final that took place a few years ago. Back then, Chelsea managed a resounding 5-0 win over the illustrious London rivals. However, the probability of the same repeating is extremely low considering that Tottenham are one of the strongest defensive options in European football this season. Chelsea midfielder Cesc Fabregas has praised his compatriot N’Golo Kante for being one of the outstanding players in the Chelsea team this season. The Frenchman moved from Leicester City in the summer for around £ 32 million. He was signed by the blues on the back of an impressive campaign with Leicester City in which he managed to win the Premier League title with the unexpected outfit.Kante has proved that he was a vital member in the Leicester City team, as the reigning champions are now struggling down near the bottom of the table without the 25-year-old. Chelsea manager Antonio Conte says he is impressed with the performance of playmaker Cesc Fabregas in recent Premier League fixtures. The Spaniard used to rarely get chances to start games but his fate has changed of recent.